Why don't women get man flu? 'Man flu' is a commonly heard term these days, but does this kind of flu really only affect men? Can't women get it too? 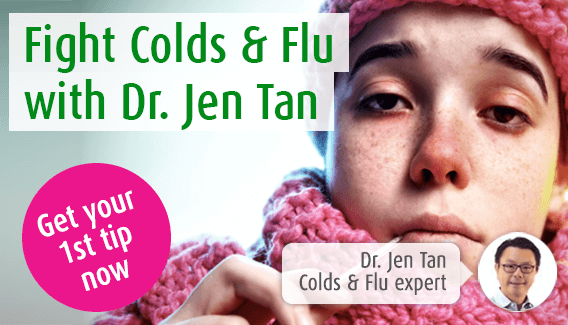 In today's blog post, I clear up some of the confusion surrounding the flu and man flu. Well the thing is, they do. Flu is flu. It’s caused by a virus and viruses are no respecters of gender – or anything much else for that matter. Women certainly can’t avoid flu by merely flaunting their gender in the face of marauding viral invaders. There is, however, some discussion in scientific circles if and why women do not appear to suffer the symptoms of flu as seriously as men. Logically, the viral infection is the same in both men and women, so why should there be a difference in the way symptoms are experienced? Why do men and women experience flu differently? Could it be that women are simply tougher? Do their monthly bouts of bleeding and experiences of pregnancy and childbirth (not to mention breast-feeding) raise pain thresholds and make them harder to impress with a few viral-induced sore throats and runny noses? After all, women tend to survive trauma better than men and in general, live longer. Their oestrogen supplies give them more protection against cardiovascular disease, right up to and beyond the time of menopause. But no, it’s not just oestrogen and steely determination that sees a women through. The outcome of all this is that not only do men become more prone to infection as they age, but they may also suffer from more inflammation when viral infections do strike, leading to more severe flu or cold symptoms. So women can take comfort from the fact that however wrinkled they may appear to be on the outside, their immune system is looking pretty nifty for its age. When flu strikes them, symptoms are not as severe as a man of similar age. Flu may not be sexist but the immune system is!